The festive season brings with it a significant wardrobe change. Woolly Christmas jumpers appear at the office party. Or, perhaps you prefer a wintery onesie or Santa-patterned socks? 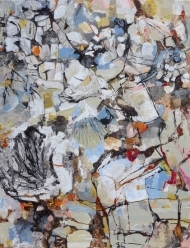 Looking back through art history, it’s clear that it has always been the season to make an effort. And these characters have out-dressed us all. 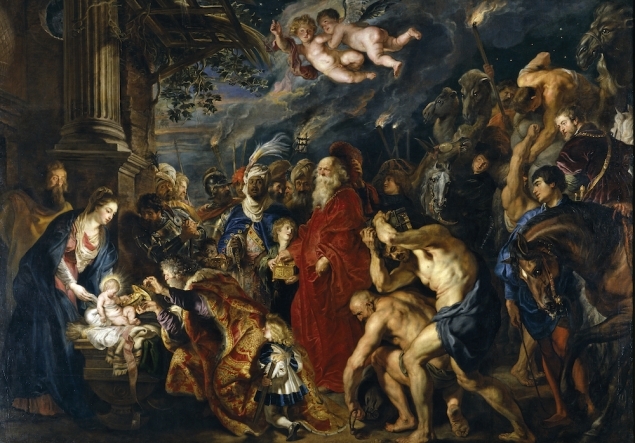 Adoration of the Magi, 1609 by Rubens (Wiki Comms). There ain’t no party like a Rubens Christmas party. Richly embroidered dresses, flowing silk loin cloths, and jewelled capes make it hard to choose a best-dressed guest. That feather, though. 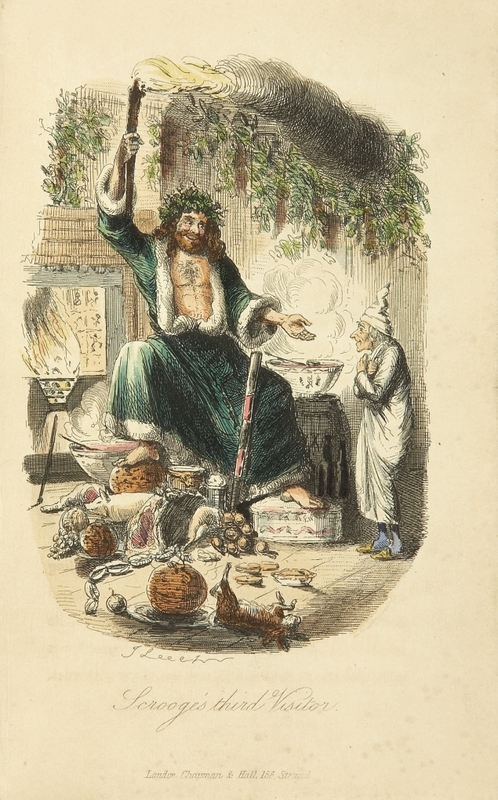 John Leech, hand-coloured etching for Charles Dickens: A Christmas Carol first edition (Wiki Comms). The Ghost of Christmas Present makes quite an appearance with this faux fur-lined green robe and crown of holly. Shame on you Scrooge, you need some new pyjamas. 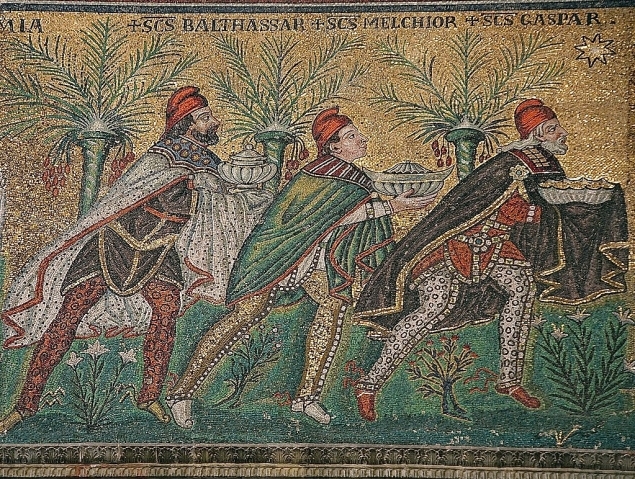 The Three Magi, Byzantine Mosaic c.565 (Wiki Comms). Nothing screams sovereignty like Christmas sparkle on your leggings. Not only that, but these three Queens Kings have also coordinated in matching caps. 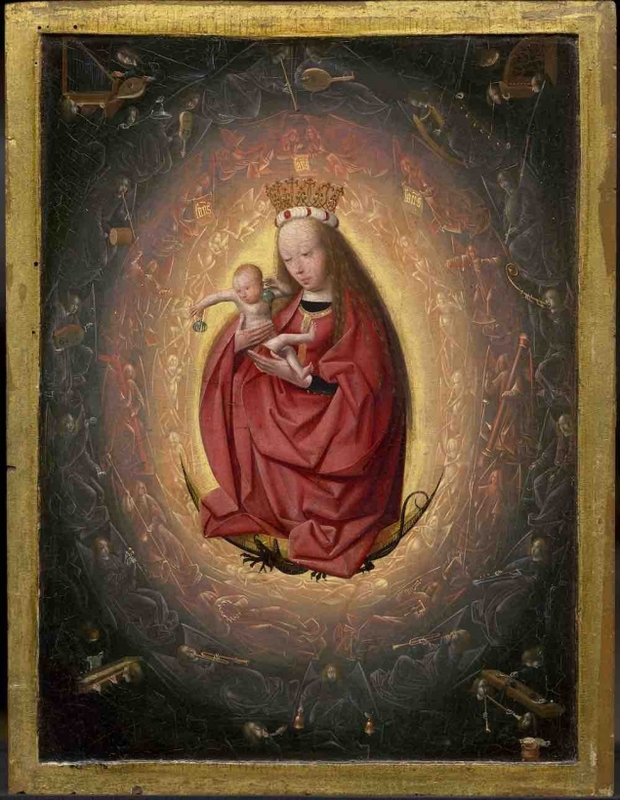 The Glorification of the Virgin, c.1490–1495 by Geertgen tot Sint Jans (Wiki Comms). Not wanting to be outdone by his mother’s red cape and crown, a very tiny baby Jesus has stolen baubles from the tree and is about to appropriate them as earrings. It’s all about the accessories. 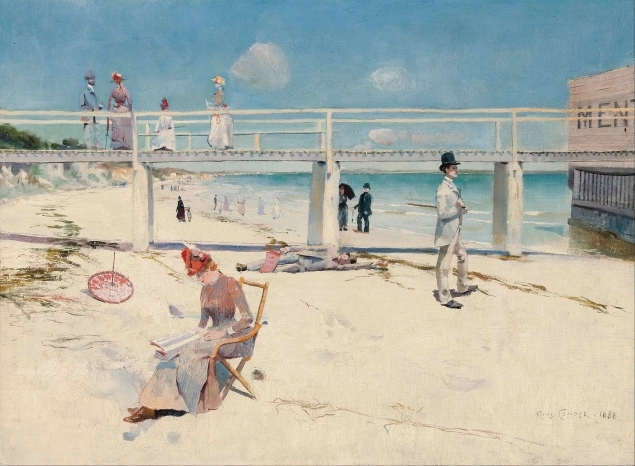 A Holiday at Mentone, 1888 by Charles Condor (Wiki Comms). 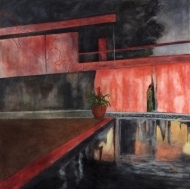 Going abroad for the holiday season? Make sure you pack your sunscreen, suit and top hat. Although, one beach guest has already overheated and passed out on the sand. Swimming trunks might be a smarter choice, after all. 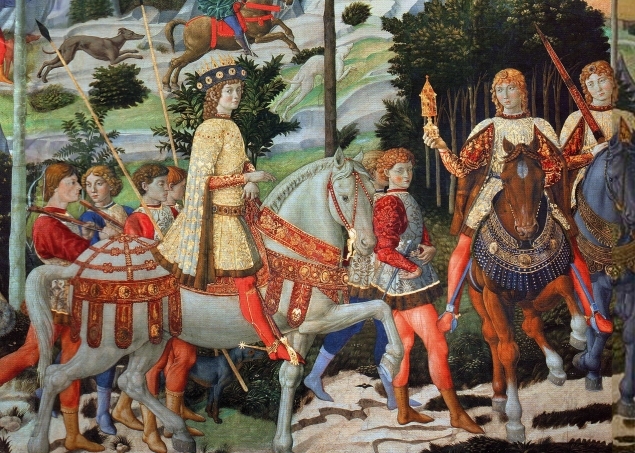 Detail: The Procession of the Magi ,1459 by Benozzo Gozzoli (Wiki Comms). Whose family doesn’t force them on a winter’s walk at some point over Christmas? If you’re taking the horses too then make sure you’re matching, like this lot. Red and gold is a strong look. 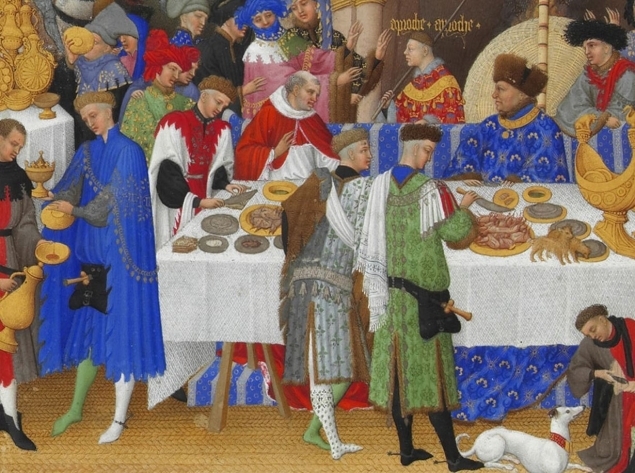 Detail: Très Riches Heures du Duc de Berry c.1412 – 1416 (Wiki Comms). Even in Medieval times crazy Christmas socks were considered cute. 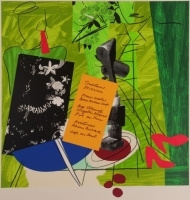 Want to look fit for a feast? Select odd socks, and pull them right up. Time to re-think that Christmas jumper?